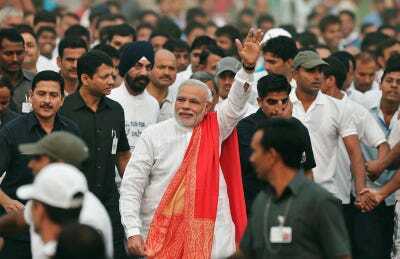 Anil Swarup is just the kind of man Prime Minister Narendra Modi is relying on to fix India – a high-flying civil servant with a taste for complex policy and swift decisions. Modi has drawn trusted bureaucrats into a tight embrace. Interviews with two dozen sources, including close aides, reveal that key decisions are now thrashed out between his office and civil servants, often at the expense of ministerial authority. Swarup sees a golden era for those willing to rise to the challenge. In his case that means ending coal shortages that keep much of India in the dark, a top priority for Modi. 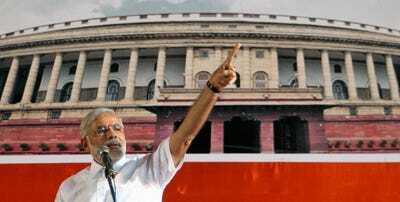 In a series of meetings with civil servants, often without the ministers they nominally report to, Modi has urged bold decisions and promised all the help they need. “He has given a virtual carte blanche. Go and do it,” Swarup told Reuters. However, he did not say the responsibility handed to him had come at the expense of ministers. Such moves, along with disciplinary innovations such as finger scanners to track attendance, have helped break a logjam in decision-making that undermined the last government, spawned corruption scandals and soured the investment climate. Critics call it authoritarian and say he is weakening India’s collegiate cabinet system. Some in government caution that in a country as complex as India, over-centralization can lead to new bottlenecks. The government denies there is interference in the ministries, saying Modi’s role is to facilitate policy. “There is one misconception – the PMO (Prime Minister’s Office) does not issue direction to the ministries,” Environment Minister Prakash Javadekar said. The shakeup started as soon as Modi took office six months ago, when he declared “all important policy issues” part of his portfolio. He quickly took control of bureaucratic appointments, cutting ministers out of the loop. Since September, there have been three major reshuffles in the civil service, all closely overseen by Modi and his core team. Top officials have woken to find themselves thrust into the limelight, or shunted into administrative backwaters. A cabinet expansion on Sunday and a new finance ministry team advised by leading economist Arvind Subramanian should boost the capacity and intellectual heft of the government. Yet not everyone is happy with the new order. Those on the wrong side of reshuffles dub them “midnight massacres” that have slowed policies. 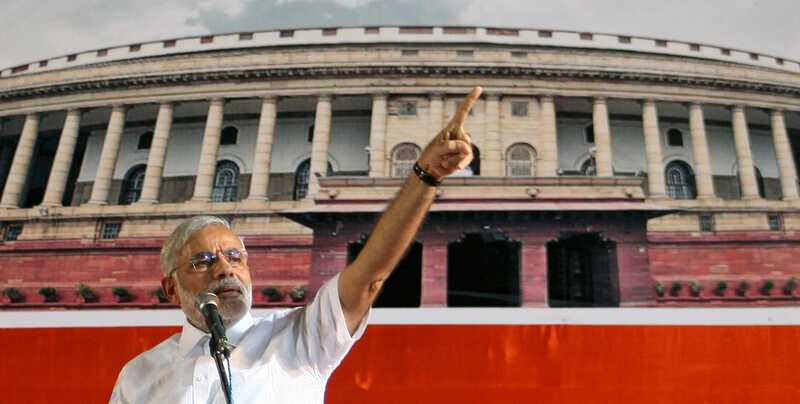 Survivors murmur they are scared to take decisions that might anger Modi. A program to sell stakes in state-owned companies worth $US9.5 billion has barely started, in part because Modi purged the top team of bureaucrats at the finance ministry before bringing in Subramanian. Tales of cabinet members’ clipped wings abound. Home Minister Rajnath Singh has been weakened, ministry officials say, since rumours swirled that his son was influence peddling. Modi publicly denied those rumours and backed Singh, but has kept him on the back foot since. When heavy shelling broke out between home ministry border troops and Pakistani Rangers in October, Singh was hardly consulted. “The PMO is directly communicating with officers. Rajnath is a mere decorative figure in the ministry,” said one senior home ministry official. Singh ranks second in the government, but has been silent at cabinet meetings, another official said. Modi’s preference to work with the bureaucracy and junior ministers was honed during 12 years as chief minister of Gujarat. Now he wants to replicate that model, sources said. “He is aware that it cannot be done immediately but you have to drive the policy,” said Saurabh Patel, Gujarat’s oil minister who worked closely with Modi. As in Gujarat, Modi controls communication, limits media access and brands major policies as his own. His control of the Bharatiya Janata Party is also extensive, with the old guard sidelined and his closest aide installed as party president. Many Indians voted for firm leadership, after the scandal-tainted administration of the Nehru-Gandhi dynasty. “He feels that we have been so weakened that he has to be in control,” said Manjeet Kripalani, founder of the Gateway House think-tank. But concerns remain that centralization and pressure to move quickly have led to ill-advised decisions, including one likely to cross Swarup’s desk. Under pressure to reduce India’s reliance on imports, coal minister Piyush Goyal ordered the opening of the Amrapali mine in the eastern state of Jharkhand – the first major pit to open in five years. There was only one problem: the mine is 85 km (53 miles) from the nearest railway, at the end of a rutted track, making it expensive to transport the coal. As a result, there are few customers, officials told Reuters.